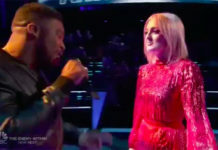 Who’s voted out from The Voice 2018 Season 15 tonight? The results are in and the eliminated singers from the Top 13 will be revealed tonight, Tuesday, November 20, 2018. 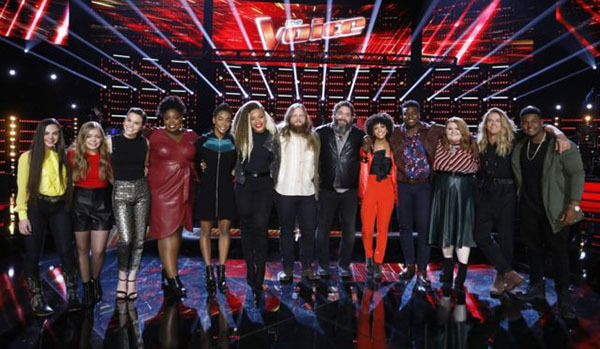 The Voice results tonight, the Top 13 becomes Top 11 — two artist will be sent home and the rest will move on to the next round of the competition. 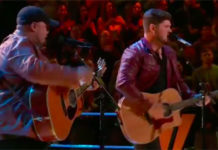 The Top 13 facing the elimination tonight are Kirk Jay, Chris Kroeze, Dave Fenley from Team Blake; DeAndre Nico, Reagan Strange and Tyke James from Team Adam. 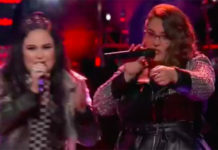 MaKenzie Thomas, Kennedy Holmes and Sandy Redd from Team Jennifer; Chevel Shepherd, Sarah Grace, Kymberli Joye and Lynnea Moorer from Team Kelly. Keep locked on this page, The Voice 2018 Top 13 live results, recap and videos will be posted on this page once available online.